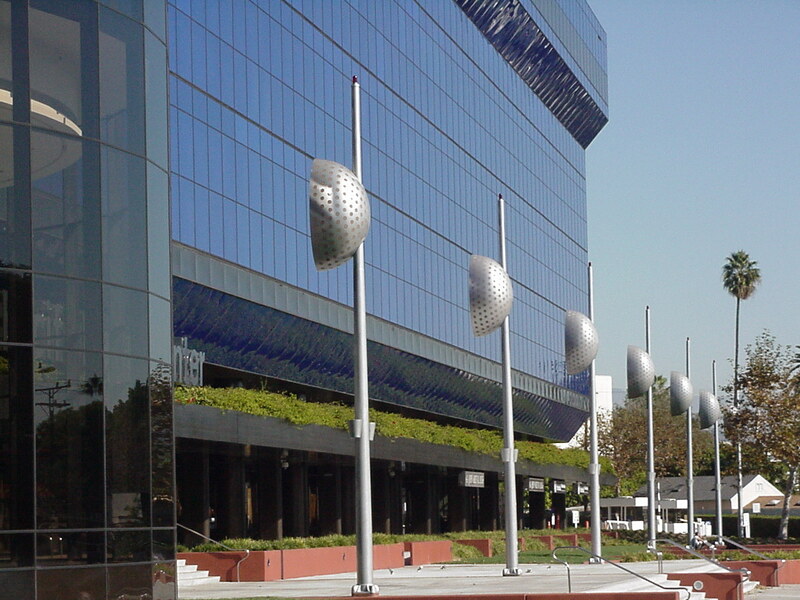 Los Angeles can look like almost anywhere. 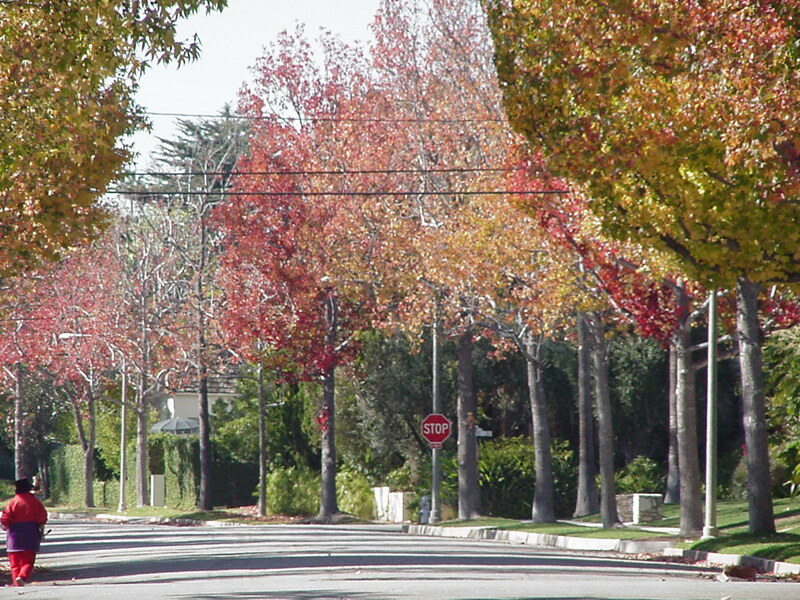 The film industry saves a lot of money shooting in Beverly Hills, which can look like New England in the fall, as you see in the first shot. 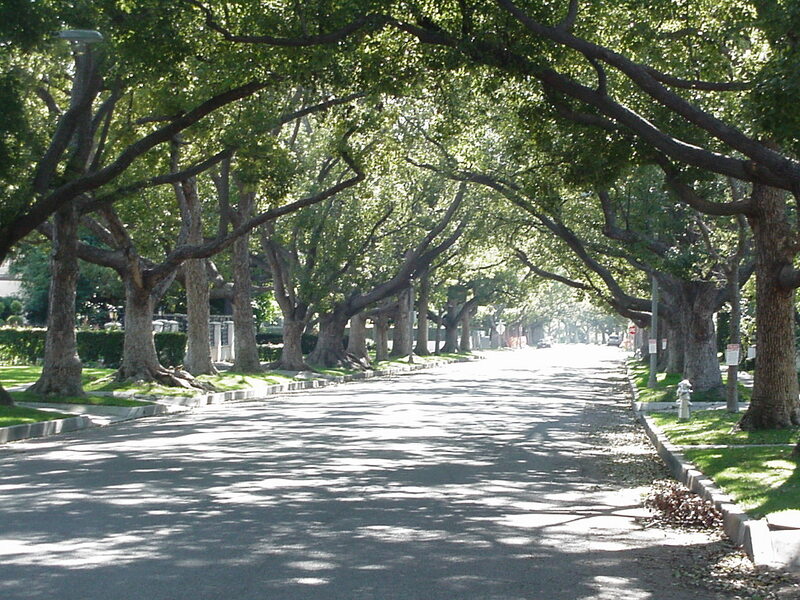 Or, if you want to do a quiet street in New Orleans, a few local streets are lined with live oaks, and can stand in for the deep south, as in the second shot. 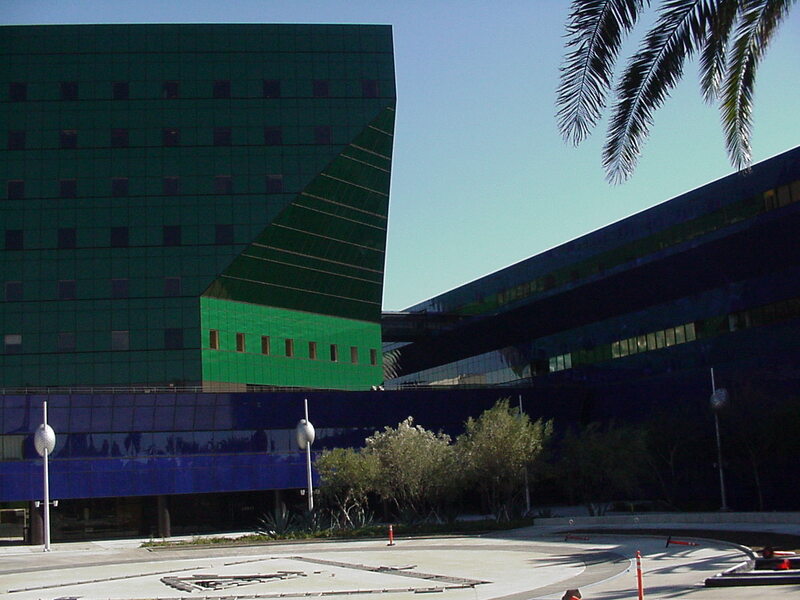 On the other hand, if you need moderately brutal modern architecture, like you're going to film a new version of Alphaville or something, you would probable want to set up establishing shots at the Pacific Design Center. 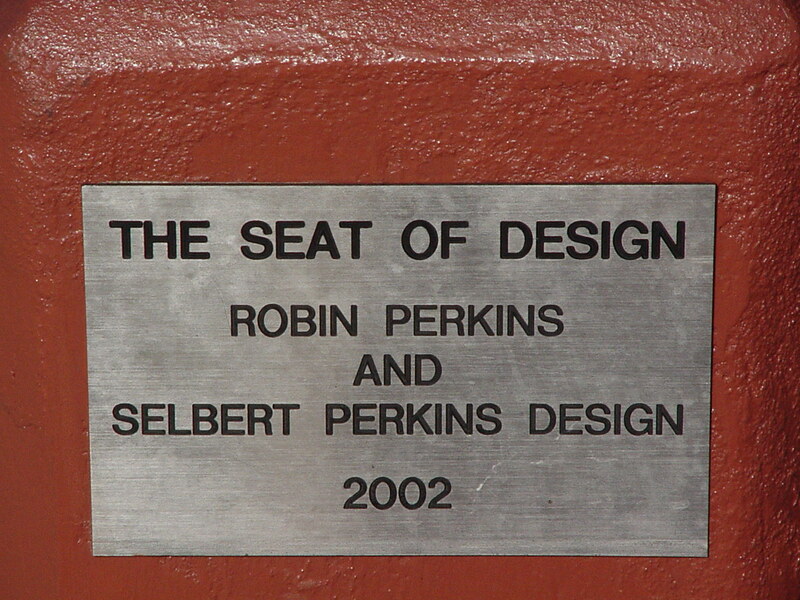 That's at the corner of Melrose and San Vencenti in West Hollywood. 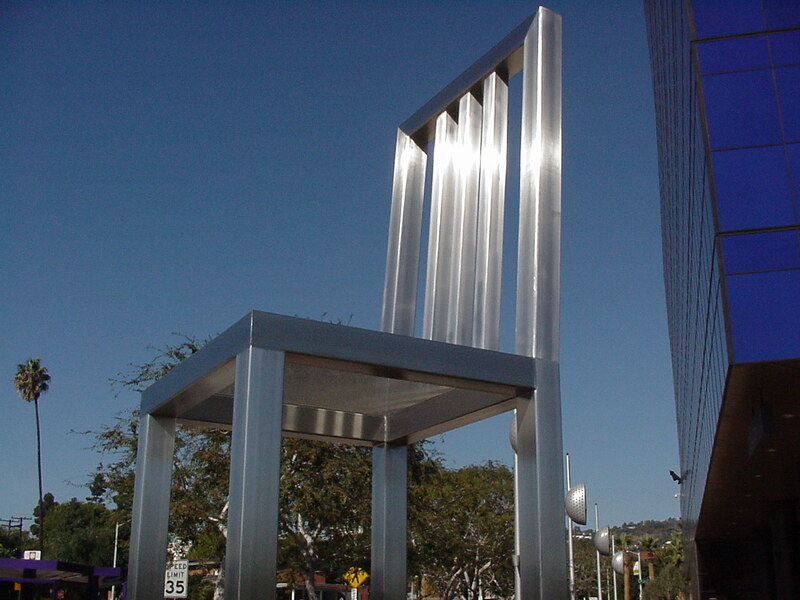 And you get a giant chair too, in case you need one. But there is the "old" Hollywood. 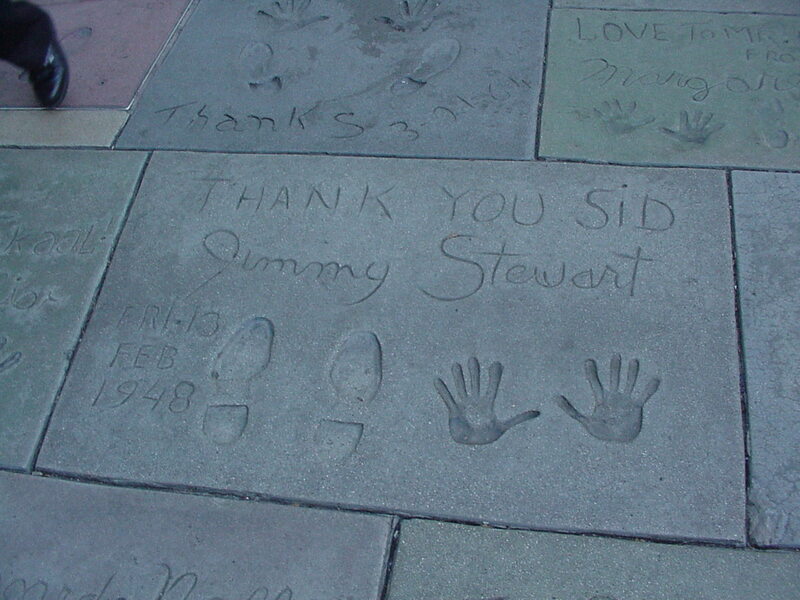 At Grauman's Chinese Theater in the middle Hollywood, Sid Grauman used to have the stars of the day put their footprints and handprints in concrete, as a sort of memorial. 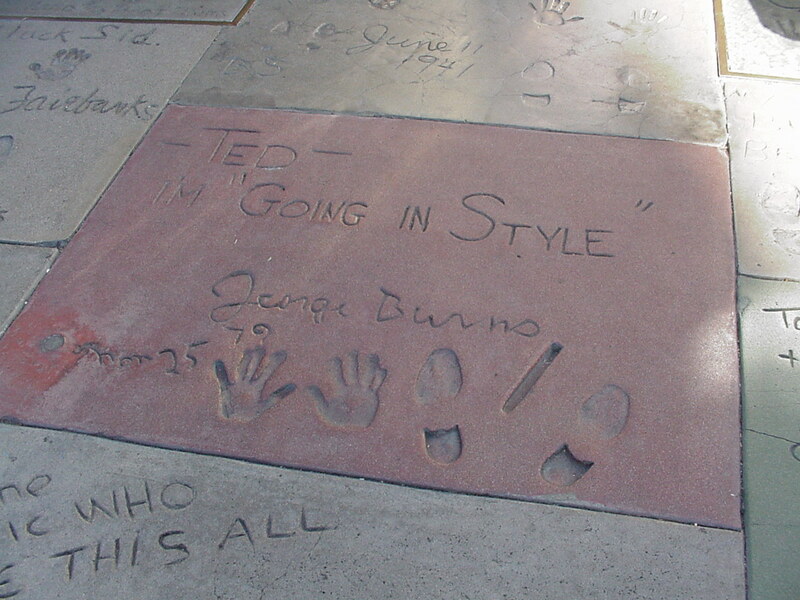 They're still there in the plaza, even if the place is now Mann's Chinese Theater. Here we have George Burns (circa 1925, with cigar), Jimmy Stewart (February 1948) and Jean Harlow (September 1933). An odd tradition. And it continues still. 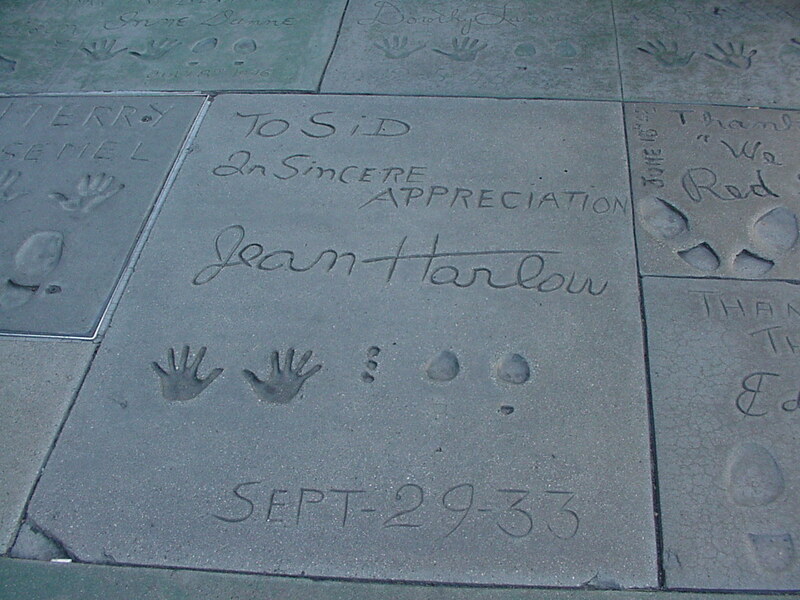 I didn't take a shot of the footprints of Tom Cruise. 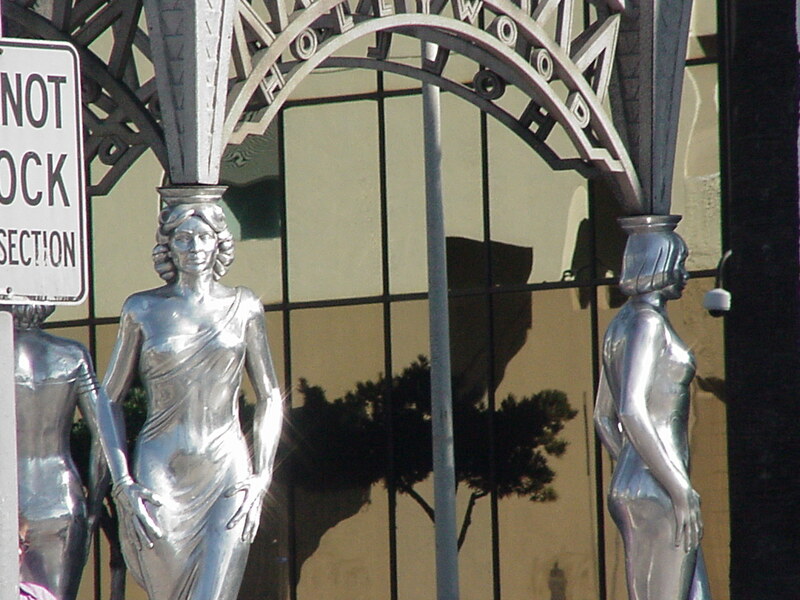 From last week's home page, the surreal ladies who stand guard at the edge of Hollywood - Hollywood Boulevard at La Brea. They are actually a bit more presentable than most of the ladies one encounters on Hollywood Boulevard.